Dr. Desaulniers is a member of the class of 2011 for the emergency medicine program at Palmetto Health Richland. He currently lives and work in Maryland. To say that my experiences with the Himalayan Health Exchange (http://www.himalayanhealth.com/) changed my view of the world is an understatement. 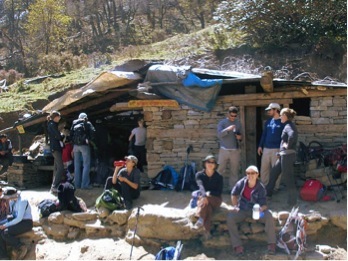 Spending the month of October 2010 trekking the furthest reaches of the Himalayan Mountains was both awe-inspiring and exhausting, but it was worth every moment. My experience began as in interest to participate in an international medicine experience for one month during my final year of residency training at Palmetto Health Richland Medical Center in Columbia, South Carolina. 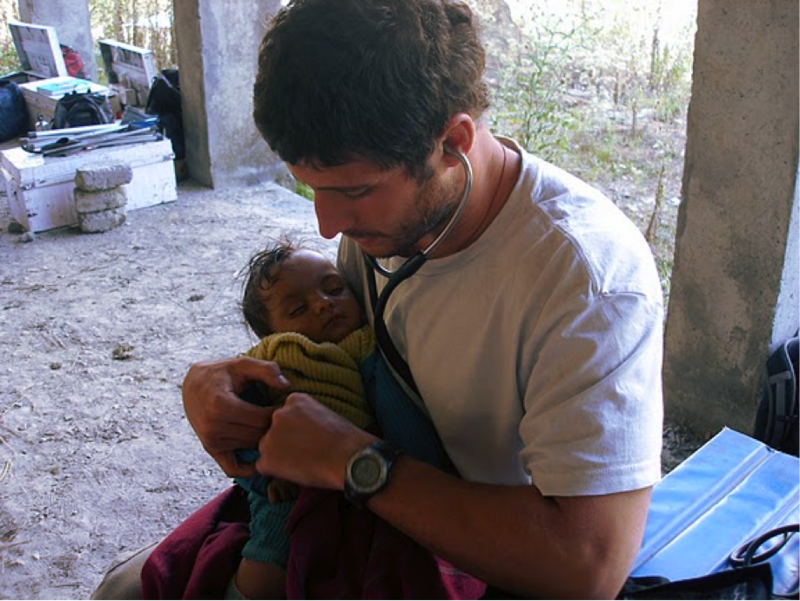 I had never traveled to a third-world country, and I wanted this rotation to allow me to be outdoors, provide strictly clinical care, and do lots of hiking. An on-line search turned up the Himalayan Health Exchange, and after speaking with prior participants, I felt it would meet all of my goals . So I packed my bags and headed for a place that until recently I had barely given a thought, Delhi, India. It was nighttime when I arrived, and as rough as things appeared when I first arrived, a gentleman from the hotel greeted me with a smile at the airport. He quickly loaded my bags and drove me through the city. For those who have never been to Delhi, it is perhaps the most chaotic, exciting, and frustrating place I you may ever go in your life. You must learn to “go with the flow” both literally and figuratively. If you resist what Delhi wants from you, you will end up in a constant struggle. In my hotel I soon fell asleep only to be awoken by my new friend, Elliot. A farm-boy from Ohio, Elliott would turn out to be my roommate (and tent-mate) throughout the trip. Like myself, Elliot had never traveled in a third-world country, thus the experiences we shared were new to both of us. 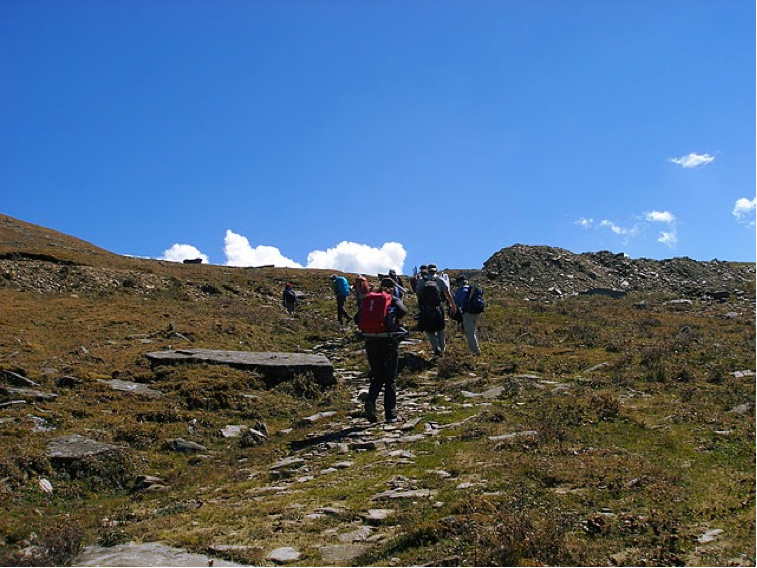 -Walking to our plane…….about to leave for the mountains from Delhi. The next morning we met the entire group for our adventure. It was a collection of physicians, residents, nurse practitioners, medical students, and pre-medical students from across the United States and Canada. We were quickly at ease with each other, and this enabled us to function as a single unit as we moved from one place to the next. We then boarded a plane to Chandigarh, a small city about 150 miles north of Delhi, and arrived in a place that was only slightly less dysfunctional than where we had started. Here we met our team leader, Hem, a native of the state of Himachal Pradesh. 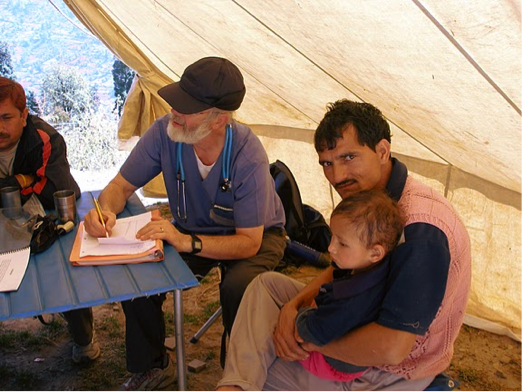 Hem had been doing these trips for over a decade, and he worked closely with the Himalayan Health Exchange to provide the best medical care possible in these remote areas. He was intimately familiar with the local towns, and over the course of our tour it became apparent he was somewhat of a celebrity in the area. Shortly after arriving we jumped into our vehicles for the long and dusty drive to Shimla. 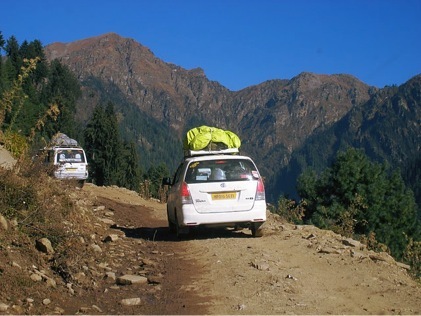 -Driving in Himachal, note the roof-top carriers with all of our gear. We arrived in Shimla late. This was the last town we would see with any western conveniences for the next 24 days. Exhaustion set in early, and we were soon asleep. The next day we started out in vehicles. Our methods of travel for the next few weeks were of two varieties, that with wheels, and that with our feet. In the end I much preferred the hiking as road travel consisted only of dirt roads with lots of dust, lots of nausea, and occasionally vomiting. On this day we spent six hours in the car among beautiful mountain passages. Our first stop was Pulbahal, a great little town with interesting people. Over the next three days we cared for over 1,000 patients. It was an eye-opening experience to see so many people appreciate our services and relentlessly thank us. While I have felt appreciated for my patient care in the United States, it was a completely different experience here. 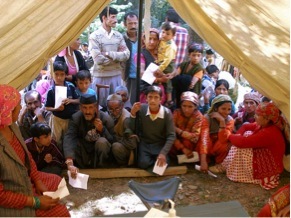 -Clinic in Pulbahal, note the wait time, with no complaints at all. The day after our last clinic at Pulbahal, we headed up towards the Chansal Pass. Our trip was named after this pass, as it would be the highlight of the trip. We started the ascent with a twelve-hour car ride that ended by setting up our campsite on the mountainside in the middle of the night. We opened up our clinic the next morning and stayed at this site for two days. It was a small town and clinic lasted only a few hours each day. The next day we continued our ascent up the Chansal Pass. It had been years since I ascended a mountain this high, and this was one of the primary reasons I chose to make this trip. We began in the morning by preparing our backpacks with plenty of water and snacks. Starting at 8,000 feet, we made the slow ascent to 13,500 feet. As we climbed, the snow-encrusted ridgelines of mountains that towered over us in the morning came into view. The air became thin, and I realized I was climbing in the highest mountain range in the world. By mid-afternoon when we reached our campsite, a small crest below the actual pass containing a stone Hindu temple. This spot will forever be remembered as one of the most beautiful places I have ever been. Sitting by the temple you felt as though you were the only person in the world. I remember gazing down the thousands of feet we ascended and looking up at the mammoth mountains ahead. Later in the day we were blown away by a brilliant sunset. 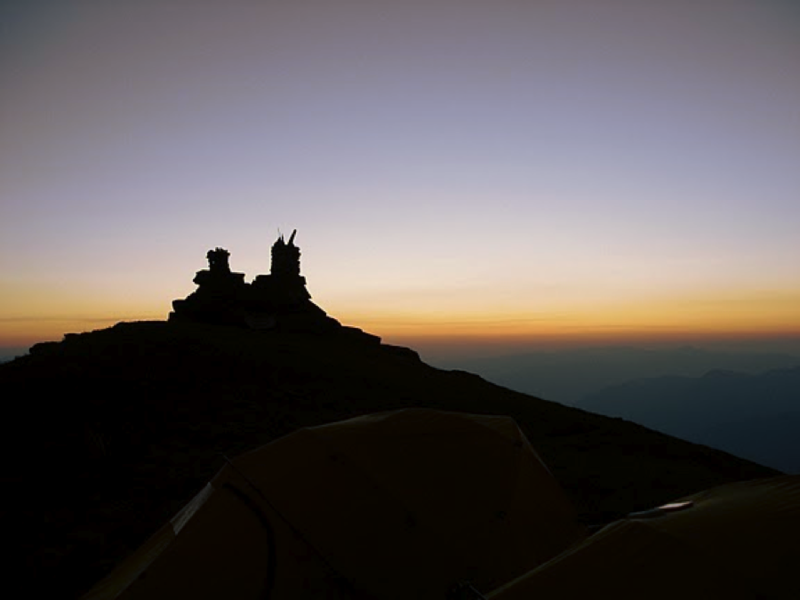 -Sunset atop Chansal Pass, note the temple and our tents. The following day we awoke and made a short 500 foot climb to the top of the pass. Here we had a view of the trans-Himalayan range to our east leading into China. We then made a grueling eight-hour trek down into the valley to our next clinic site at Dodra. To say that Dodra is “cut off” from the rest of the world is an understatement. To put this in context, when India became an independent state in 1947, the people of Dodra did not hear about it for three years and lived in their quiet village thinking they were still under British rule. From October through April Dodra is completely cut off from the world by snowfall on the Chansal Pass, and those who live there have no way out of their valley. We spent four nights in Dodra and held three days of clinic. 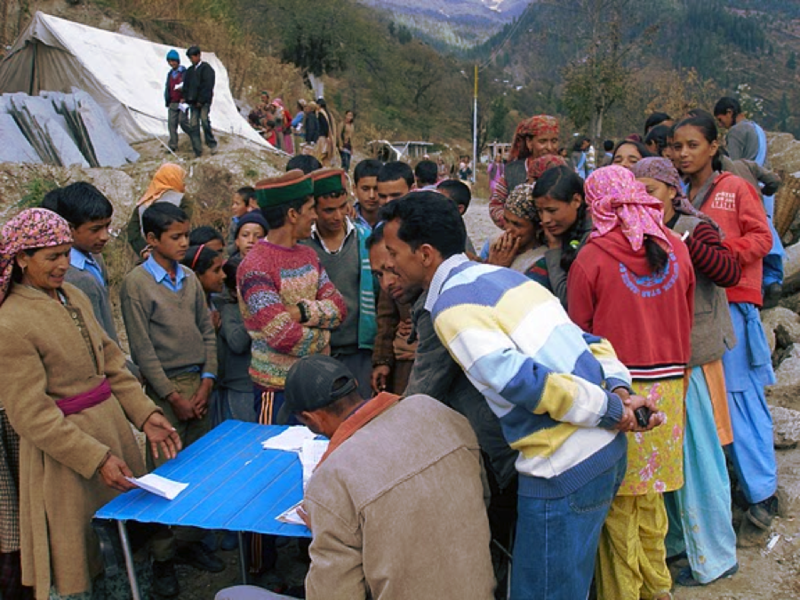 We set up clinic on the small clearing next to the village school. The views down the valley and up into the mountains were astounding. 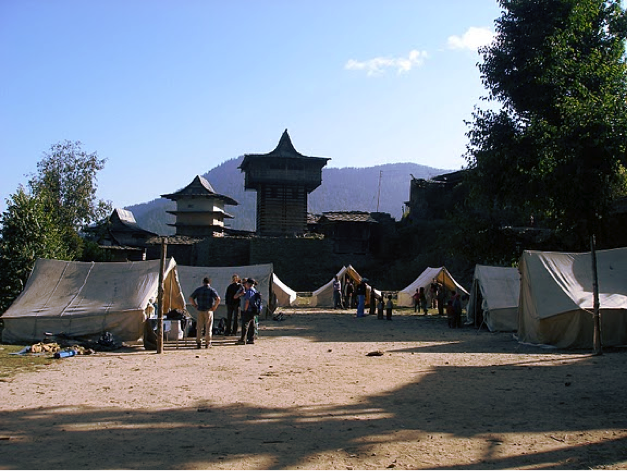 -Clinic in Dodra, note the temple and tents where we would see patients. The clinics in Dodra were busy. We saw lots of children at this clinic, and I wondered how many generations of these people had lived in this tiny little village. Although we continued to see interesting cases, many, many patients came for the treatment of reflux and impacted cerumen. As with all clinics here, the people were always appreciative for our help. After four days in Dodra, we ascended Chansal again, but this time by car to save time. During this leg of the journey we were brought back to the reality of our Western lives as we spent the afternoon in Chiragaon, a town with some western conveniences including chocolate bars, Coca-cola, and batteries. After a brief stop, we headed up the valley in Chiragaon where we would spend the next week working in clinics. The first campsite was along the road heading away from Chiragaon. We spent two days here, holding clinic in a partially built school. It was evident everywhere that the people here value education. All children attend school daily, and some walk several miles each way to get there. They did this with a smile on their face and dust in their clothing. All the children in the same grade wore the same colored uniform, and boys and girls were separated. During their breaks we would see them in clinic. -Clinic in a partially built school. After our first three nights, we headed as far up the valley as possible. This turned out to be my second favorite stop of the trip. The name of the town was Tangno. It contained only a few hundred people, and it was so small it could not be found on a map. 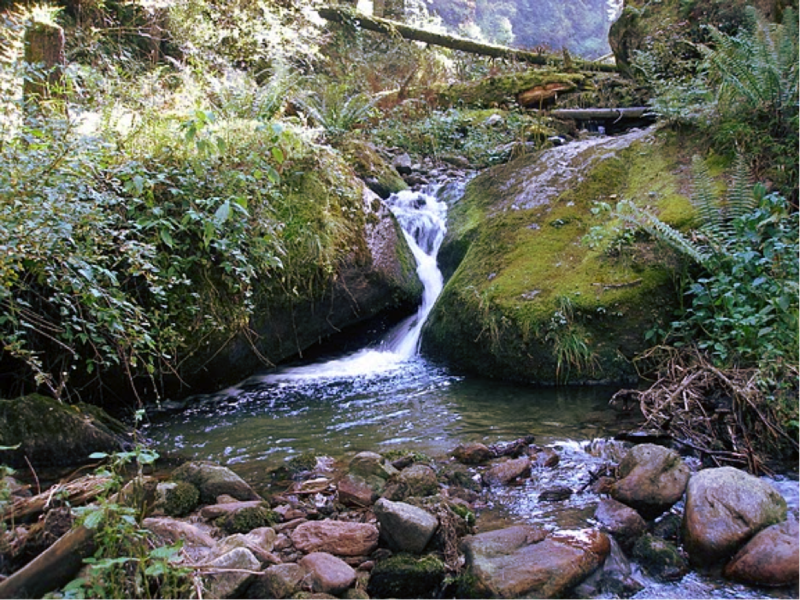 The trek to this site was far easier than our earlier climbs, but nearly as rewarding as we arrived at our campsite by a fast rushing cataract. We spent three nights at this site, the highlight of which was a short trek to a secluded waterfall that probably only a few people on this earth have seen. We spent over an hour hanging out here shooting pictures of the falling river and lush valley. Clinic in Tangno was busy. Although the village was small, having not even one small store, it seemed that people came from everywhere, and we spent our entire afternoons seeing patients. It was in Tangno that our pharmacy supply began to get depleted, however, our experienced staff was easily able to convert our prescribing habits to other formulations and different analgesics. After three days in Tangno, we trekked back down the valley to our final site. -A busy clinic in Tangno. Note the school uniforms of the boys to the left. We camped along the dirt road for the last part of our expedition. The campsite was tilted towards the river, and we were constantly reminded of this as we rolled downhill during our sleep. We held two days of clinic that were very busy due to our proximity to a larger city. There were two notable highlights on this segment of the trip. The first was a day trek up the ridgeline above the small town where we held clinic. The day was beautiful with temperatures in the 70's and views toward the distant ridgelines. The last wildflowers of the season were still growing along our makeshift trail. 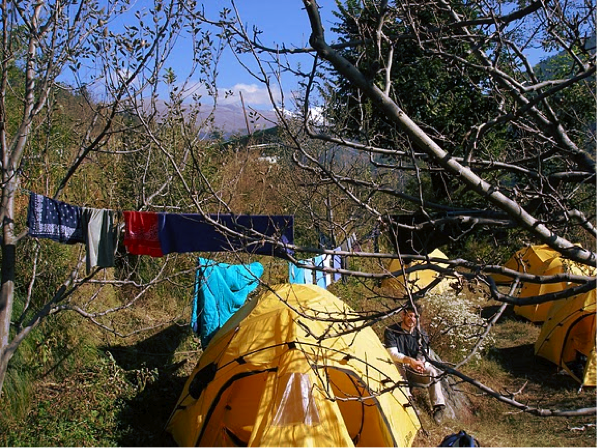 The second occurred two nights later when we were greeted by the only precipitation we saw our entire trip, an early season snowfall that left just enough snow on our tents to make snowballs. Our staff hurriedly “battened down the hatches,” and ensured we were comfortable with the Tandori oven warming our mess tent. Throughout our expedition the staff was fantastic. They provided us with nourishment, shelter, and camaraderie. 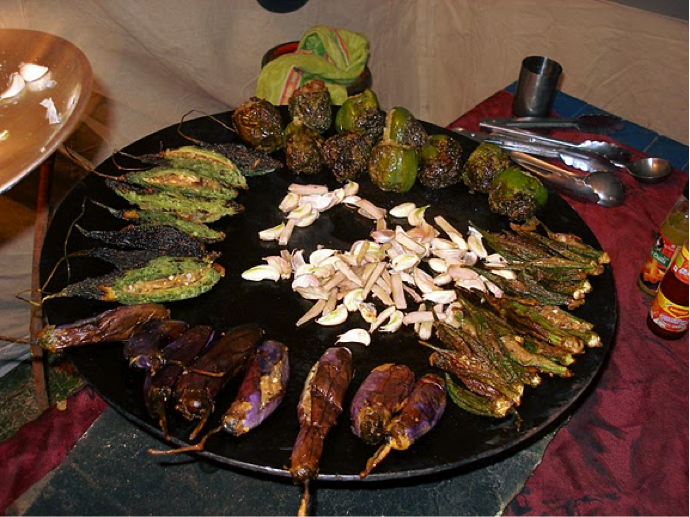 The Nepalese chefs that accompanied us never left us hungry, and we were constantly delighted with the ever-changing menus they created, especially as they were nearly all vegetarian. -Our wonderful vegetarian delights, thanks to an excellent staff. 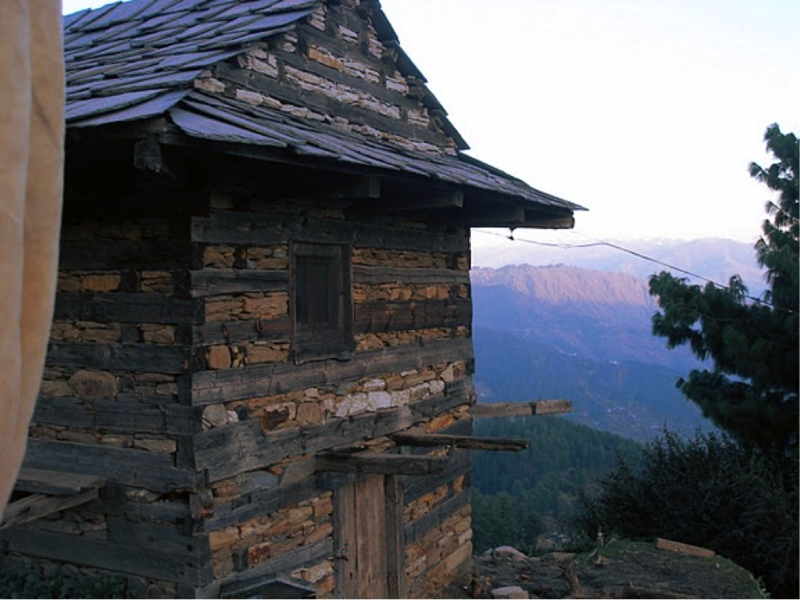 The second to last day before returning to Shimla, we began the long and arduous drive back. 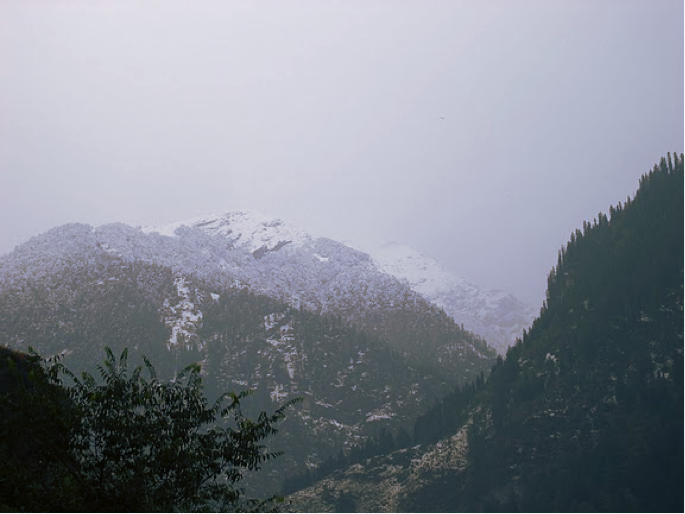 After a brief stop in Rohru, a town that can actually be found on a map, we ascended the last major ridgeline before the valleys led us back to Shimla. After setting up camp, multiple members of our party headed to a small outcropping that afforded us views back from where we came. There was sadness knowing that the time we had spent becoming friends and working together was about to end. We spent the last night in the woods around a roaring campfire entertained by the staff and each other. It had been a once in a lifetime trip for sure. 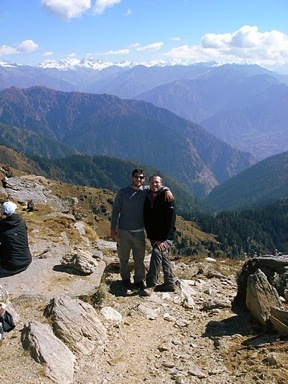 The next day we returned to Shimla, which meant showers, beer, and western food. We delighted in the small hill-station town and spent the night in a hotel that was fantastic to us now, but to most westerners would have been two-star. 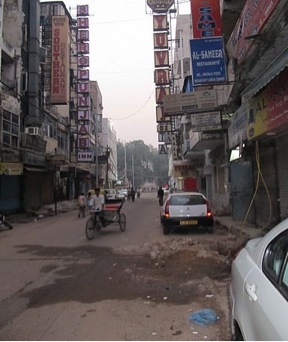 The staff drove us to Chandigargh the next day, and after saying our good-byes to them, we flew to Delhi. 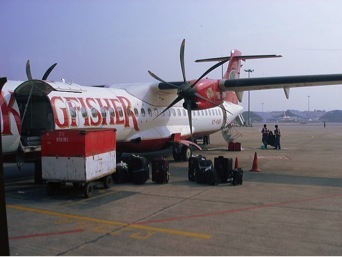 In Delhi, some of the group caught flights home. However, a small contingent of us headed back to the city before traveling 200 kilometers south to Agra, home of one of the great wonders of theworld, the Taj Mahal. 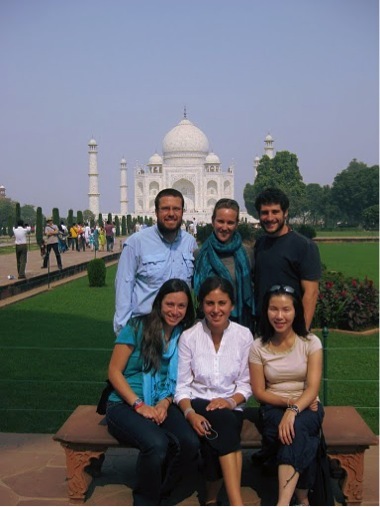 After visiting the Taj, our group broke apart to return to places few Indians would ever see. A trip such as this not only changes your life, but how you see the world. I learned a great deal about India, the second most populated country in the world, but it is the relationships and friendships that will last a lifetime, and the memories will not soon fade. I am fortunate to be graduating from a residency program that still allows residents to fulfill their ambitions, no matter how distant they may be. Without this support, these trips would not be possible.